Let’s talk primer (and of course my favuorite primers!) If you know me you will know that I am obsessed with primer. I will push everyone I know into using primer and I have actually never had anyone not come back and tell me that primer is a game changer! So many people have the view that primer adds another layer of product to your skin but I truly believe that it is a barrier between your skin and makeup. Wearing primer also helps your makeup to last a long longer. Don’t take my word for it though, try a primer and see how well it works for you. 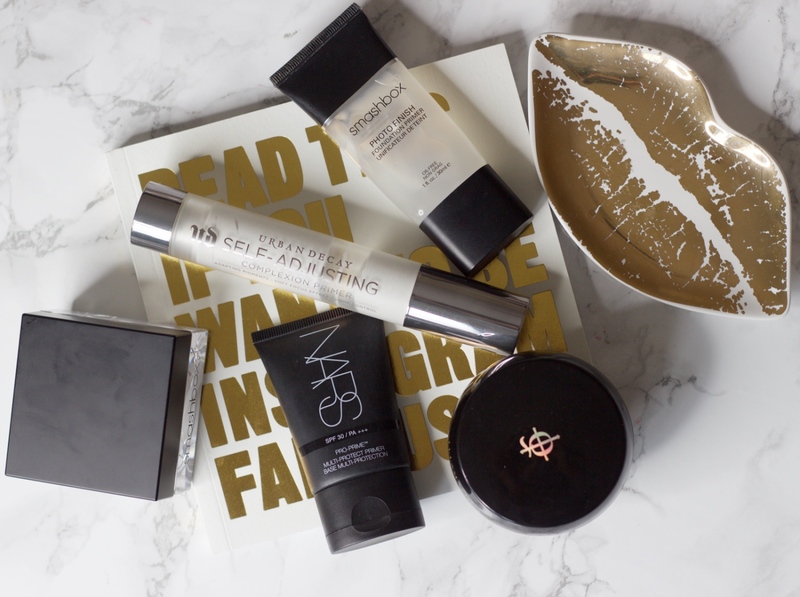 As I am so primer obsessed I thought I would share with you my top primers which I love and my absolute favourites. 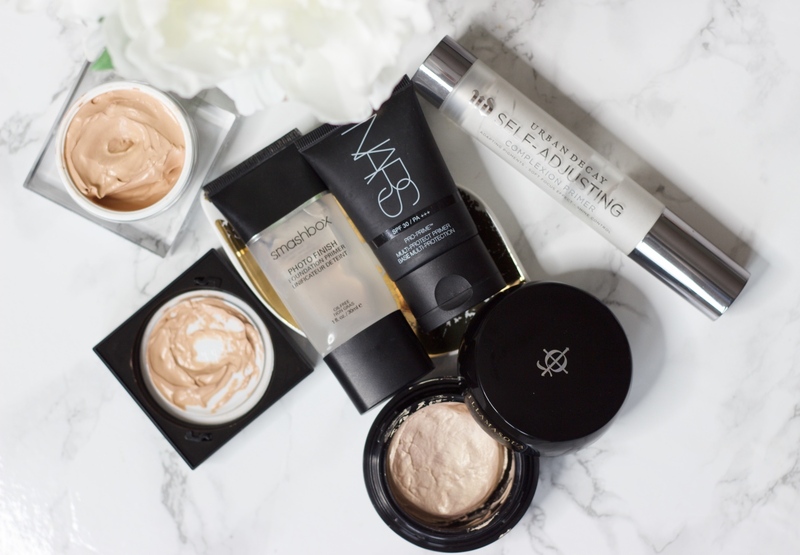 Starting with an everyday favourite, I love the NARS primer. It is so lightweight and feels more like a lotion. It’s has SPF in it which is great but I don’t use it in the dark winter months. It definitely smooths over any pores and of course all these primers ensure that my makeup lasts longer. Another good everyday primer especially for winter when I don’t need SPF is the Urban Decay primer. I love how smooth this is! My skin feels so silky and it really blurs out imperfections so my skin looks good even before applying tinted moisturiser or foundation (yes you still need primer even if you’re not wearing foundation!) I love the packaging of these primers too. 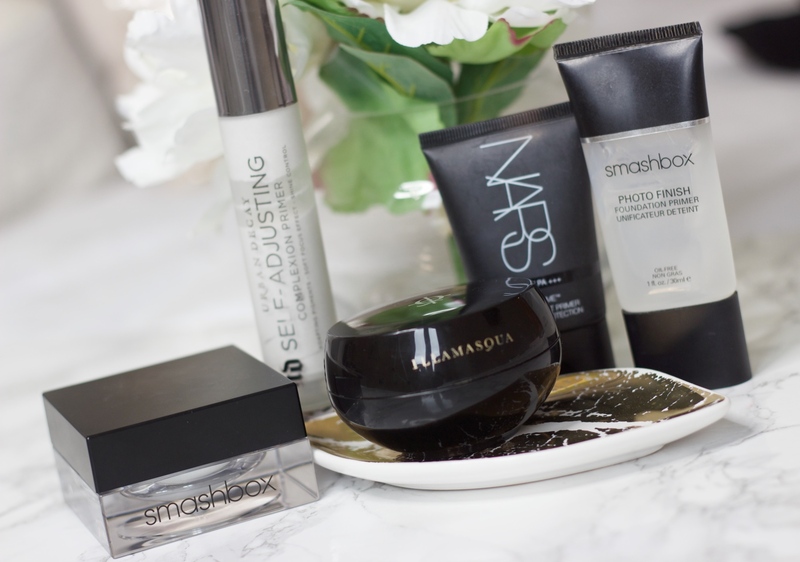 My newest everyday favourite is actually the Smashbox radiance primer. This has such a gorgeous glow with small shimmer particles. My skin looks so good just with this primer alone! This primer is also really hydrating and contains shea butter for good skincare. I love this primer at the moment and love the glow it gives me. 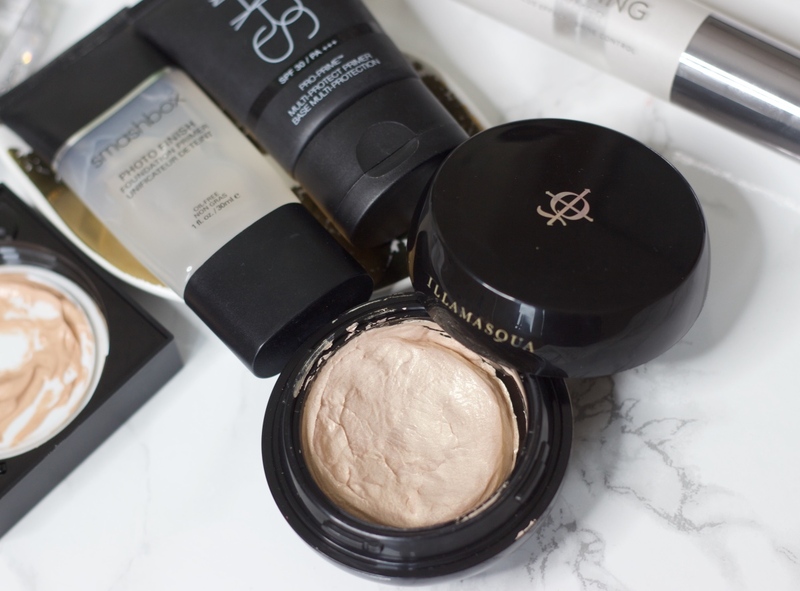 Speaking of glow, another great primer is the Illamasqua Radiance veil. Illamasqua do primers really well, I have always been a fan of the Hydra Veil and Matte Veil too. This gives super glow! I love this for nights out and the Smashbox one during the day. I feel like this primer doubles up as a cream highlight too and it feels so hydrating. With this a little really does go a long way, I’ve had my pot for over a year and as you can see I still have a lot left. 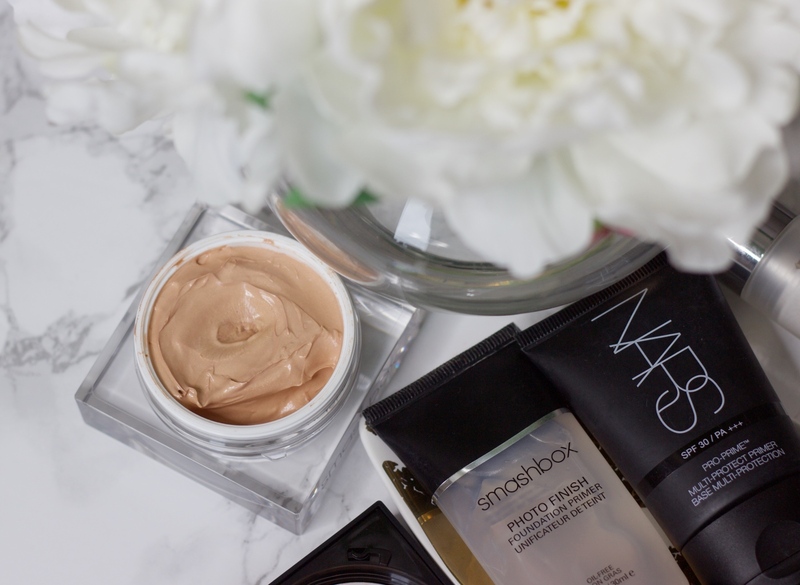 For me, the number one primer is the Smashbox Photo Finish primer. If I’m going out or need my makeup to last all day for an event then this is my go-to. It is so silky and has a silicone texture (which I love!) It smoothes over any imperfections in the skin, creating a smooth surface perfect for makeup to just glide on. Disclaimer: This video is not sponsored. Everything I show in this video I have purchased myself or was gifted. Gifted items sent to me for review will be marked with a (*). All products used in my videos, regardless of whether a video is sponsored or not, are products that I love using – unless stated otherwise, I only work with brands, products and/or services which I would recommend to my nearest and dearest. If I do not like a product, service, brand, it will not be featured in any of my videos. I like to keep my platforms as positive as possible. Some of the above links may be affiliates.